Jost Hochuli is a Swiss typographer and graphic designer. After study at the Kunstgewerbeschule St. Gallen, he trained as a compositor with the printer Zollikofer and at the Kunstgewerbeschule Zürich; his education was completed in 1958–9 in Adrian Frutiger’s class at the Ecole Estienne. Since then he has practised as a freelance graphic designer, eventually specializing in book design. In 1979 he co-founded the co-operatively run publishing company VGS Verlagsgemeinschaft St. Gallen, for which much of his book design work has been done. He has taught at the schools at Zurich and then St. Gallen since 1967. Below is a video featuring a collection of well designed books by Jost Hochuli for your viewing pleasure. 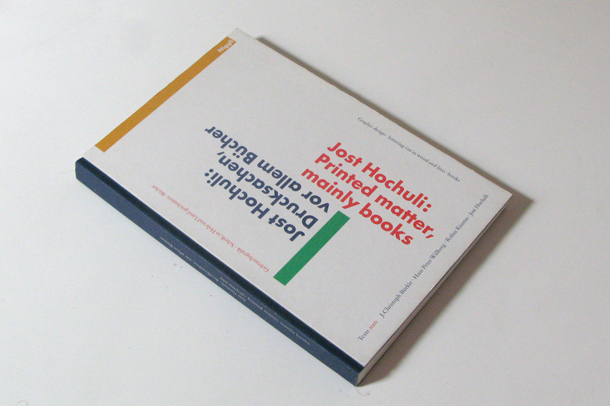 Jost Hochuli from Hyphen Press. Jost Hochuli Part 1 from Roland Stieger.